Alessandro Volta built the first practical battery in 1800, opening the door for the modern dependence on electricity. Electrical or electric energy is an irreplaceable commodity in today's world. Look around you―scratch that, keep looking where you are looking right now; this very screen runs on electrical energy! It is the most commonly used energy form by mankind, and yet, is not very well understood. To many, the workings of electricity are still a mystery. Let's understand this ubiquitous form of energy a bit more! Electrical energy is a form of electromagnetic force, one of the four fundamental forces of nature. 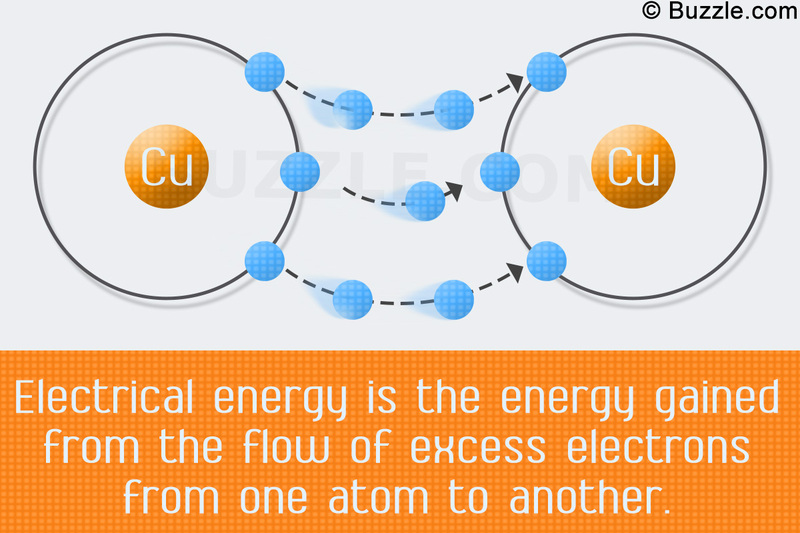 Commonly referred to as simply 'electricity', this form of energy functions due to the peculiarities of atomic structure. 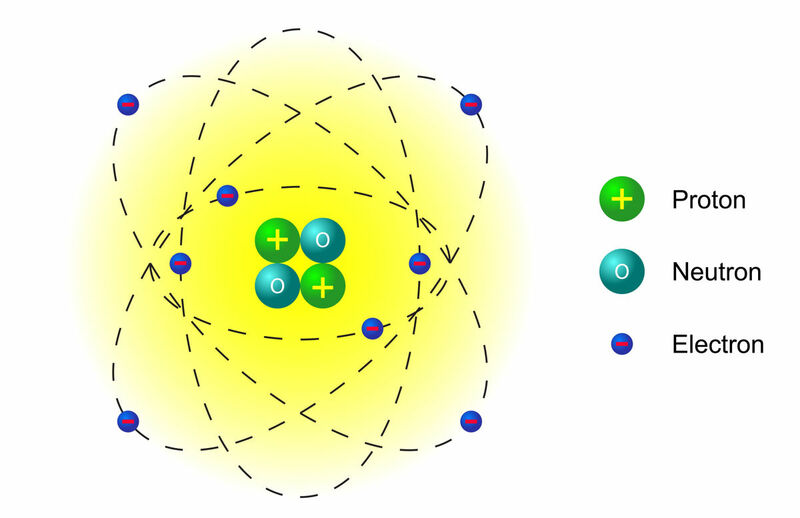 Every atom contains positively charged protons and electrically-neutral neutrons held together in the nucleus, with negatively charged electrons constantly orbiting it. It is the latter that is the basis of electricity. It is the excess or absence of the negatively charged electrons that creates the 'positive' and 'negative' ends of electricity. When there are more electrons in an atom than there are protons, the excess negatively charged particles cause a negative charge on the atom. Conversely, an atom with less electrons than protons gets a positive charge. Unlike electrons, protons can't shift atoms under normal conditions (the shifting of protons happens in nuclear reactions), and thus, don't contribute to the charge except by providing a constant amount of positive charge. These charges constitute electromagnetic force between particles. Like magnetism, where like poles repel and opposites attract, like charges repel and opposite charges attract. A minor but worthwhile point to remember is that contrary to the common connotation of the words 'positive' and 'negative', excess electrons develop a negative charge, and the loss of electrons develops a positive charge. Electricity is the flow of excess electrons from one atom to another, or the flow of an electric charge from one atom to another. The capacity of a particular substance to allow the flow of such electrons, called the conductivity of the substance, depends on the structure of its atoms. In metals, the atoms in a visible piece of metal are joined together by a metallic bond, and form crystal-like structures called lattices, consisting of several individual atoms. This structure allows electrons from individual atoms to travel freely within the lattice. This readiness of metallic atoms to lose electrons makes them excellent conductors of electricity. Electrical energy is the energy gained from the application of this aforementioned current for practical purposes. Electrical energy is expressed in the form of various other forms of energy. Before being actually used and being converted to other forms of energy in the process, electrical energy is simply electric potential energy. The application of electrical energy is present all around us. The screen that you are using to read this, as well as the processing unit that sends the visual display to the screen, runs on electricity. In this case, the electrical energy is expressed in the form of light (and some heat). If you are reading this on a laptop or a cell phone, it gets a bit complicated. Now you are using energy that has been stored in a battery in the form of chemical energy, and is only discharged in the form of light and heat when you switch on the device. The generation of heat in both these instances is unintentional, and occurs due to some inevitable resistance being present in the circuit. Increasing the conductivity of the device's circuit reduces the resistance so that more electricity can be used for the operation of the device, but eliminating resistance completely is not possible. 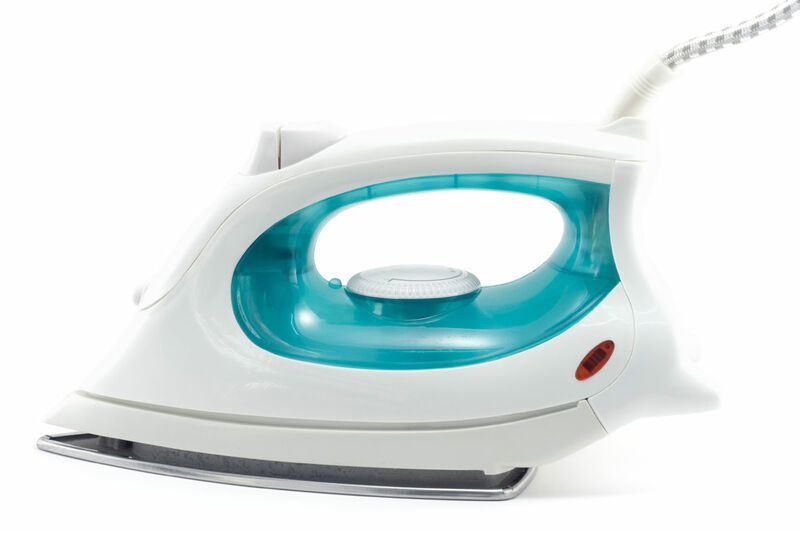 Commonly used examples are electric irons and electric water heaters: Electricity fed into a resistor in order to increase its temperature. Another common example of the application of electrical energy is the doorbell, which is expressed as a sound when the circuit inside it is completed. Electrical energy in torches is seen in the form of light. As we know, energy can't be created; it can only change forms. Accordingly, electric energy, or electric potential energy, to be more precise, can be generated by converting various forms of energy. The most common of them are chemical energy, in the form of batteries and in thermal power plants, and potential energy, in the case of hydropower. 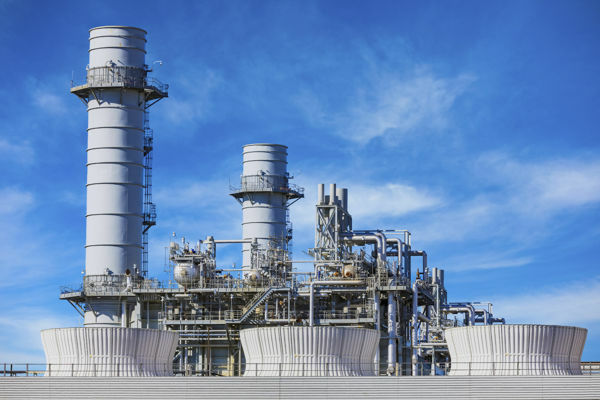 In thermal power plants, the chemical energy in (mostly) coal is used to heat water, and the kinetic energy of the steam is used to move a turbine. Likewise, in nuclear power plants, the energy gained from the controlled nuclear explosion is used to heat up water, and the resultant kinetic energy of the steam is used to move a turbine. In hydropower plants, the potential energy of water situated at a height is first converted into kinetic energy by letting it fall, and is then converted to electricity by directing the flow of water onto a turbine. The energy generated by these methods is electric potential energy, since it has not been used for any purpose. When it is actually used in some way, it is called electric energy.